When Florida takes the field in Knoxville later today against Tennessee, there will be an urgency surrounding the game not seen in nearly 20 years. That’s in part because the Volunteers, after several years of mediocre-to-downright-awful play, are ranked higher than Florida (No. 14 vs. No. 19), are a 4.5-point favorite to break the Gators’ 11-game winning streak in the series and are considered a legitimate contender to win their first SEC East title since 2007. ESPN’S College Game Day is being broadcast from Knoxville, the Gators are unveiling a new version of its white alternate helmet and the Volunteers will be wearing their strange gray/charcoal uniforms. All in all, the series is showing signs of resembling the fierce rivalry that captured the nation’s imagination in the mid 1990s. 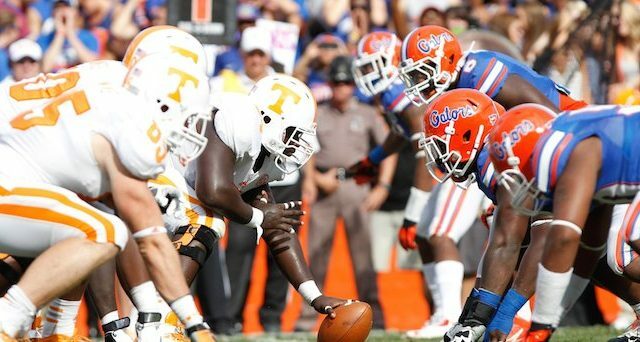 Before that decade, Tennessee and Florida did not play regularly. 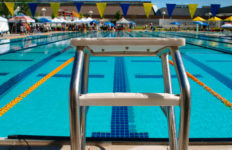 Between their first meeting in 1916 through 1990, the teams played just 19 times. In 1990, though, the SEC began preparing for its 1992 expansion to 12 teams, when Florida and Tennessee would be members of the same division. Deciding this could be a marquee rivalry, the SEC got a two-year jump-start on having them play annually. Steve Spurrier brought a new intensity to the Gators-Vols rivalry. 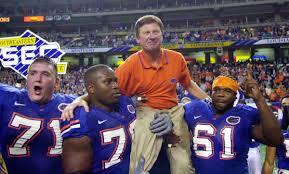 1990 also was the year Steve Spurrier became the Gators’ head coach. A Tennessee native, Spurrier won the Heisman Trophy in 1966 as Florida’s quarterback, and he too sensed the annual game could be special. Tennessee beat Spurrier badly (45-3) that first year. He made it his mission to torment the Volunteers from then on. The rivalry intensified in 1994, as Florida made its first serious run at a national title under Spurrier that year (it would win one in 1996), and Peyton Manning arrived at Tennessee. Unquestionably the greatest quarterback in the Vols’ history, Manning helped Tennessee become a force in the SEC, but he went 0-4 against the Gators. So intense was his desire to beat Florida that he passed up a sure opportunity to enter the NFL early and returned for his senior year. Unimpressed, the Gators beat Tennessee 33-20 that year. 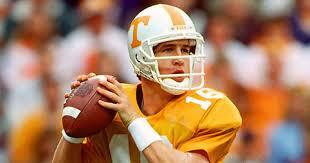 Peyton Manning is the greatest quarterback in Tennessee history, but he couldn’t beat Florida. After the game, Manning said, “I didn’t come back just to win one game. 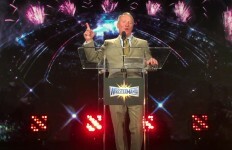 I came back to help our team win a national championship.” No one quite bought it, but he was able to lead Tennessee to its first SEC title in seven seasons (subsequent Florida losses cleared the way for the Volunteers’ championship). Ironically, Tennessee made it over the hump the following year and won the national championship. The Volunteers also won four of seven against the Gators, and the rivalry remained balanced until Urban Meyer took over at Gainesville in 2005. Florida hasn’t lost to Tennessee since. The rivalry has become closer recently, though, as the Gators have won the last pair against the Vols by a combined total of two points. Is today the day the pendulum swings the other way?